If there is still a tradition that exists on the Côte d' Azur (French Riviera), , it is well the one of the olive. 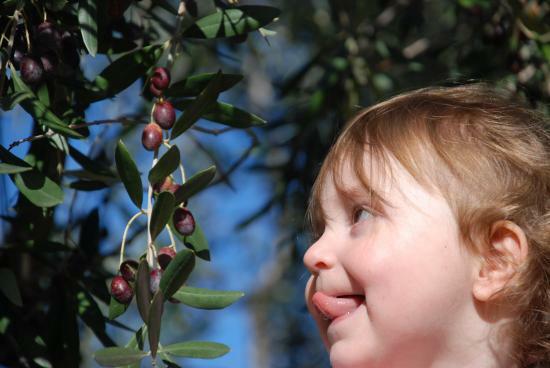 Many people have some olive trees in their garden and enjoy going to the mill to make their own oil. Away from intensive farming, it is certainly due to this site inhospilalier to industrialization that still survive a tradition, a family culture. Quality is not the fruit of hasard, it is not either a label, an appellation nor even less an alchemy taken out of a lab. Yet that is the daily lives of all consumers. Know what really is behind all products. This is what we should be able to do very easily. It is therefore quite naturally that as a producer, I owe inform you about the products of my Domain. Our working methods are based on a principle of excellence. Excellence that aims to give you the best of our trees in accordance with the environment. I invite you to follow our current activities in the section "Olive Domain" and display our photo album.